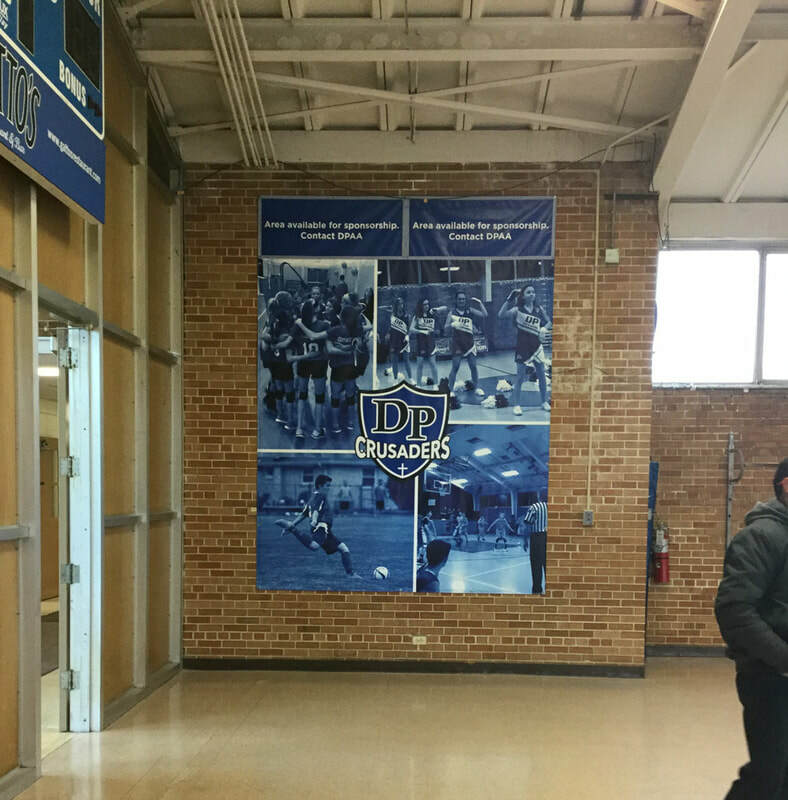 Our custom windscreens are digitally printed onto a mesh material with double reinforced hems for extra support. 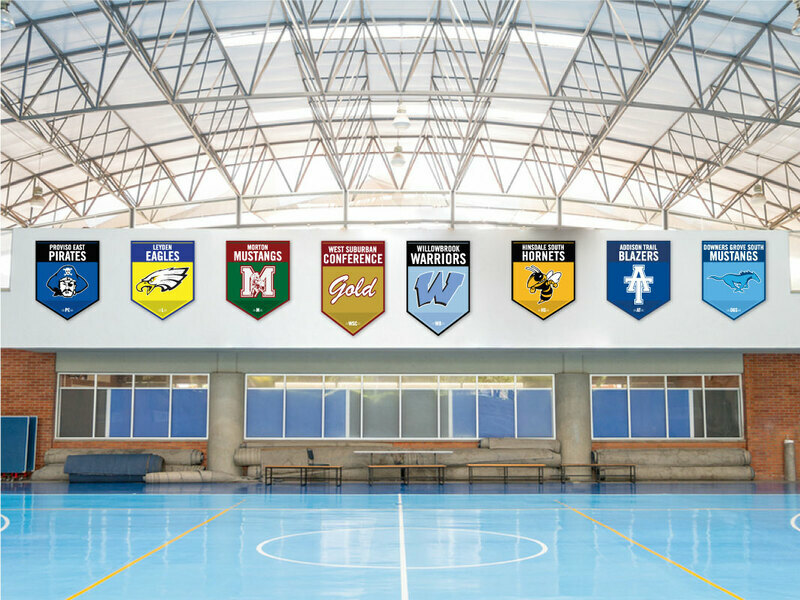 Each windscreen is custom designed, giving each of your facilities a unique, brand-revealing look. 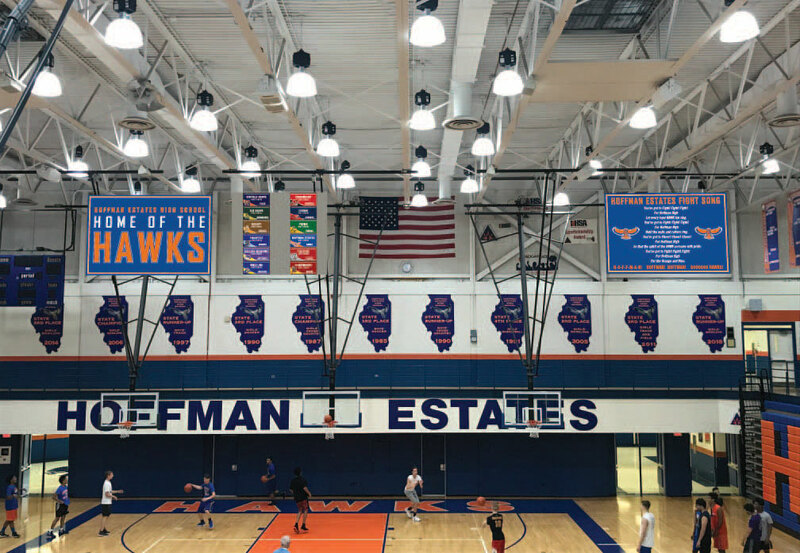 These are a great way to add color and excitement. 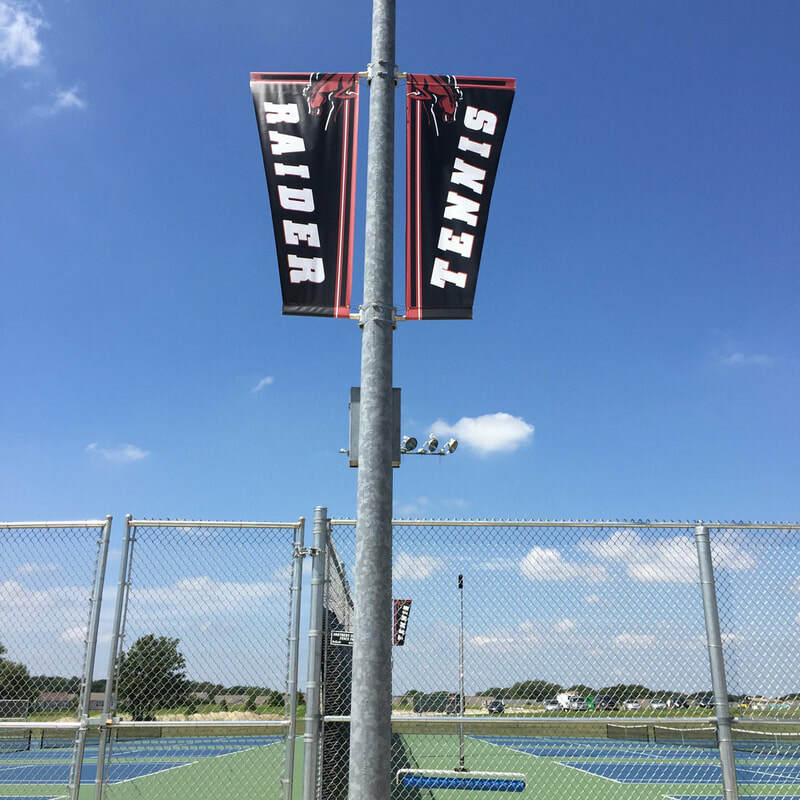 Our Mesh material is lightweight and ideal for high wind conditions. 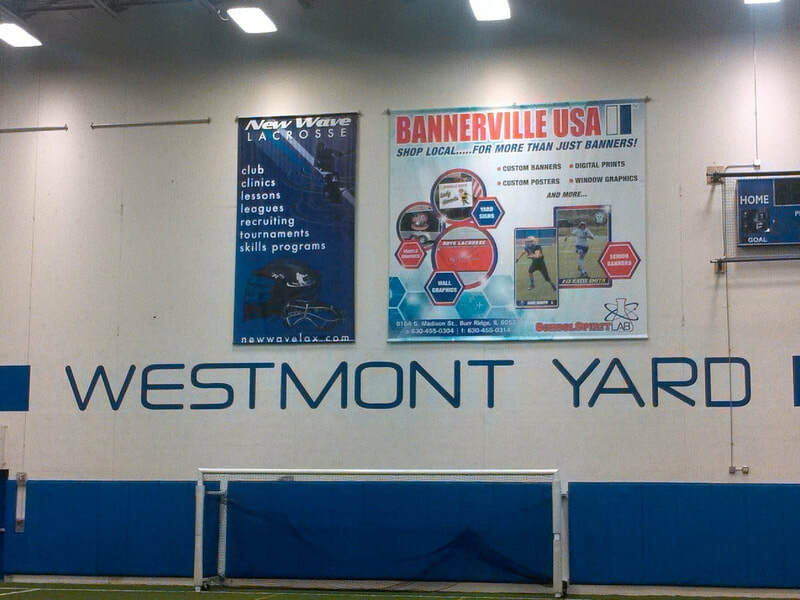 Mesh is most often used for fencing windscreens at athletic facilities and event stages . 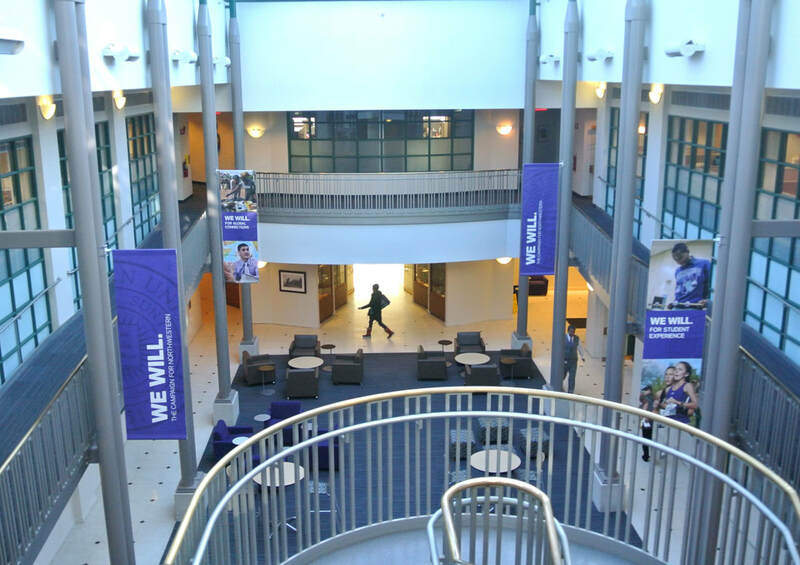 The mesh fabric can also be used indoors to give you a different look. 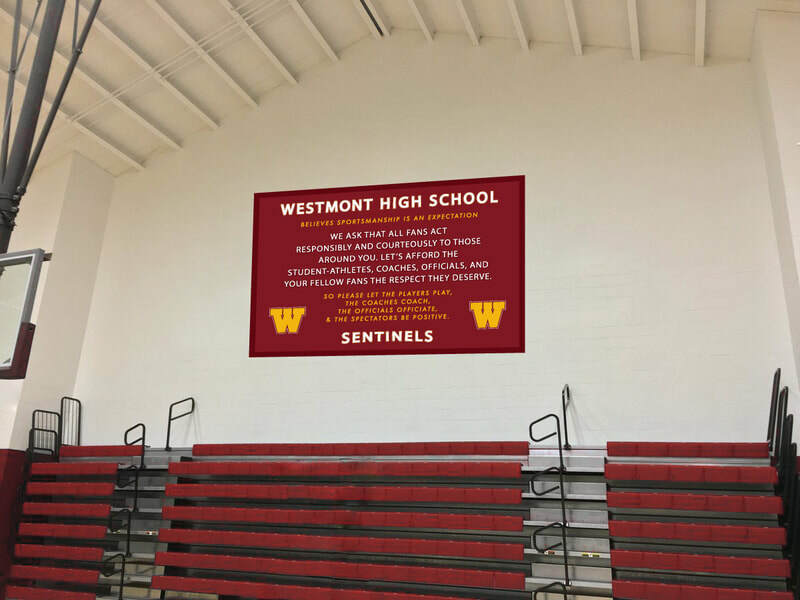 This material comes in different weights and can be printed single or double sided. 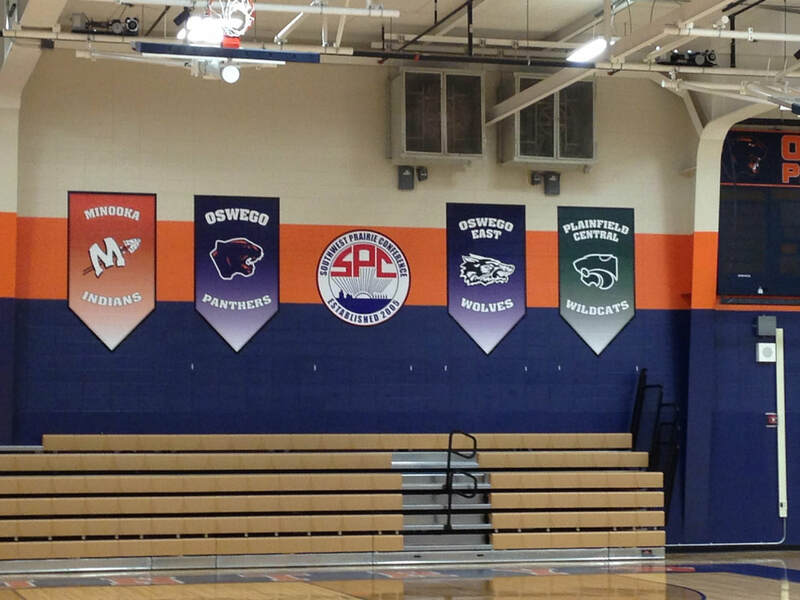 Individual student athlete and team banners are a great way to recognize your student athletes and coaches. 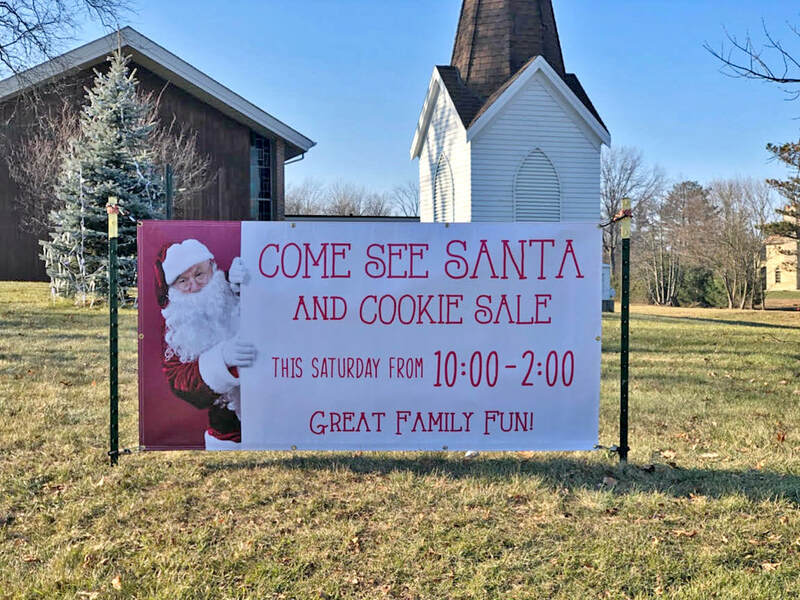 Either during the season or as a post-season memory. 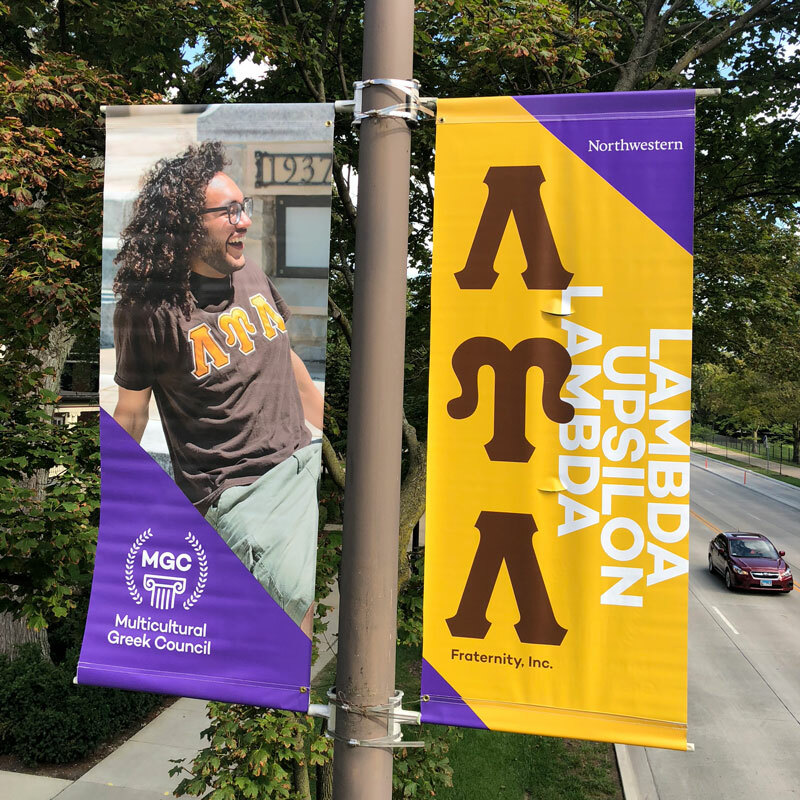 We can take an action shot image and convert it into a personal banner that everyone will be proud of. These banners are great for displaying in your gym or on the field for senior night. 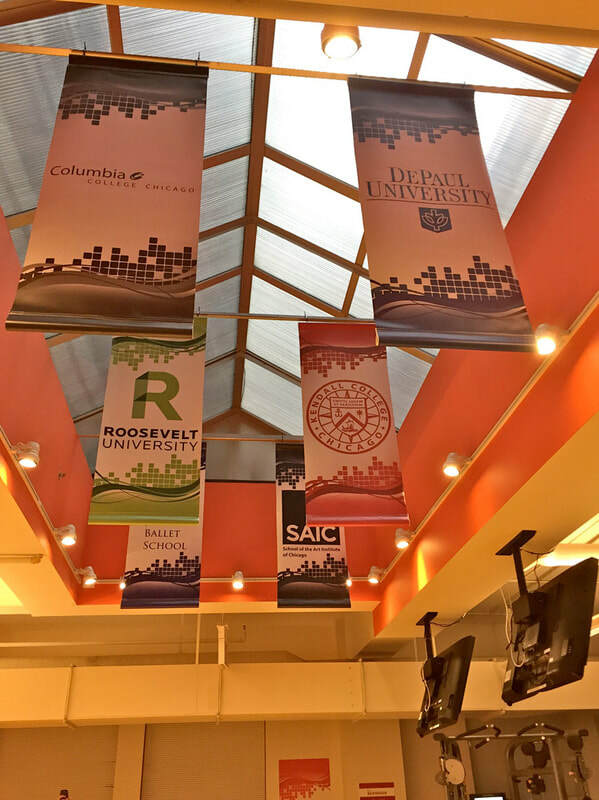 Available in any size or shape, each banner is custom designed to highlight your conference. 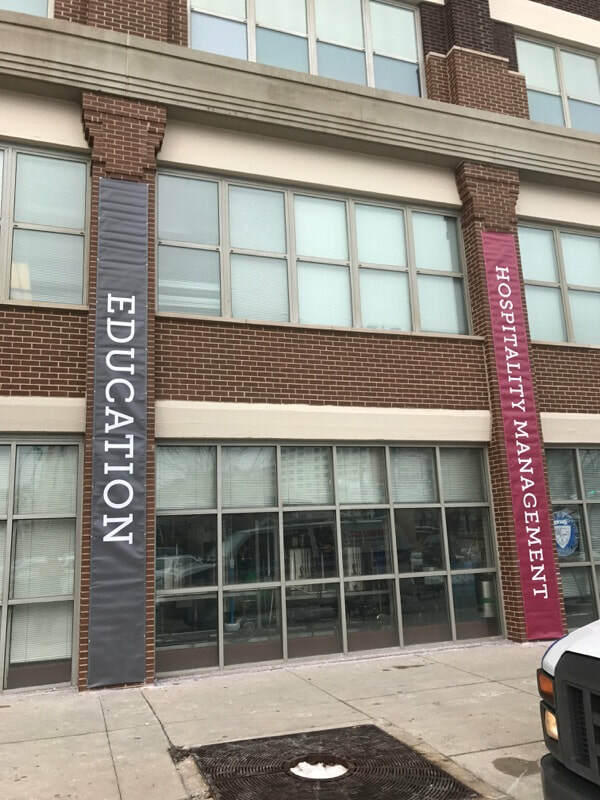 Wall graphics are the most common way to recognize league members, however we offer a selection of rigid signs and vinyl banners that are mad to be easily updated as conference members change. 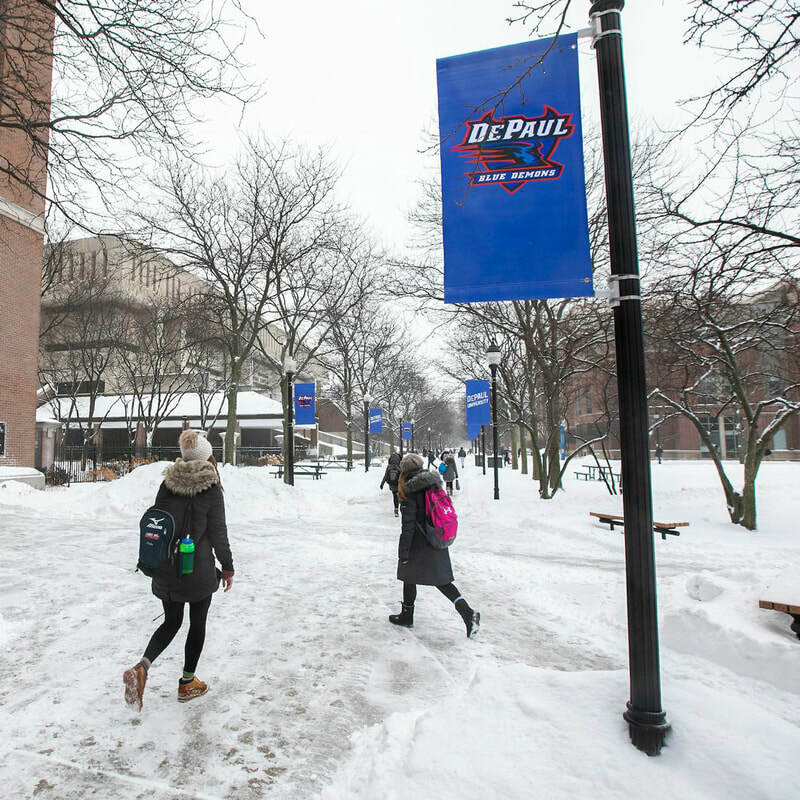 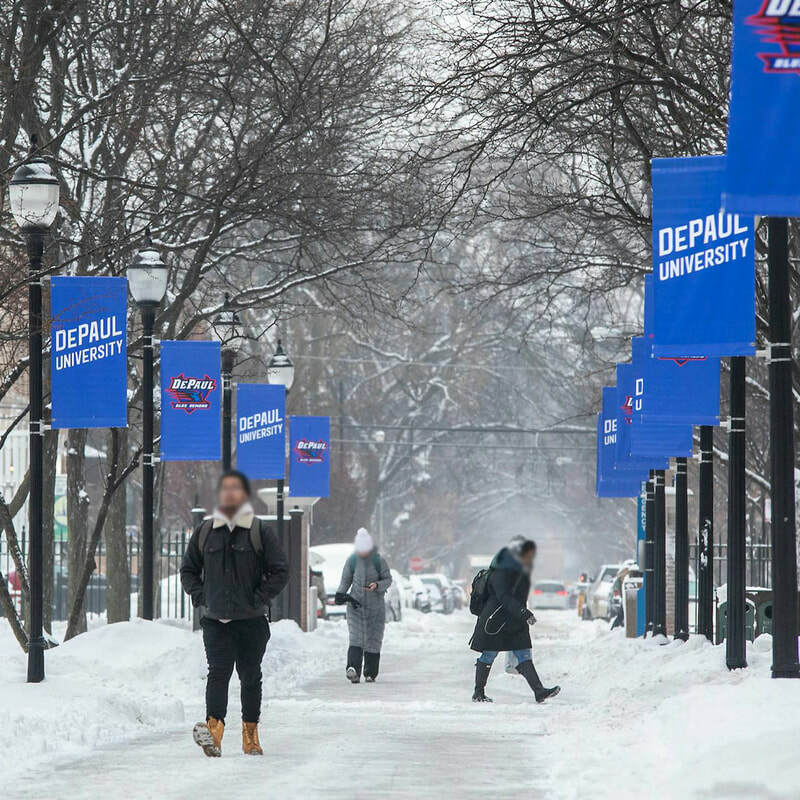 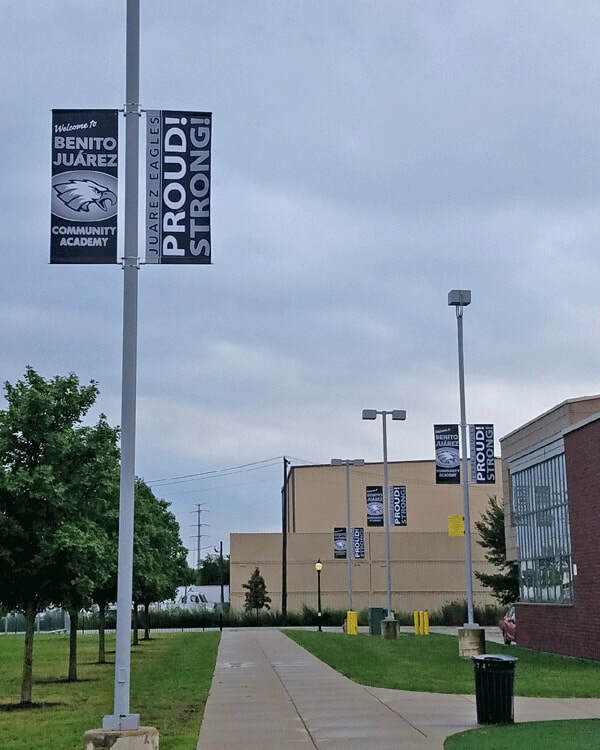 Welcome visitors to your school’s campus with our outdoor light pole banners. 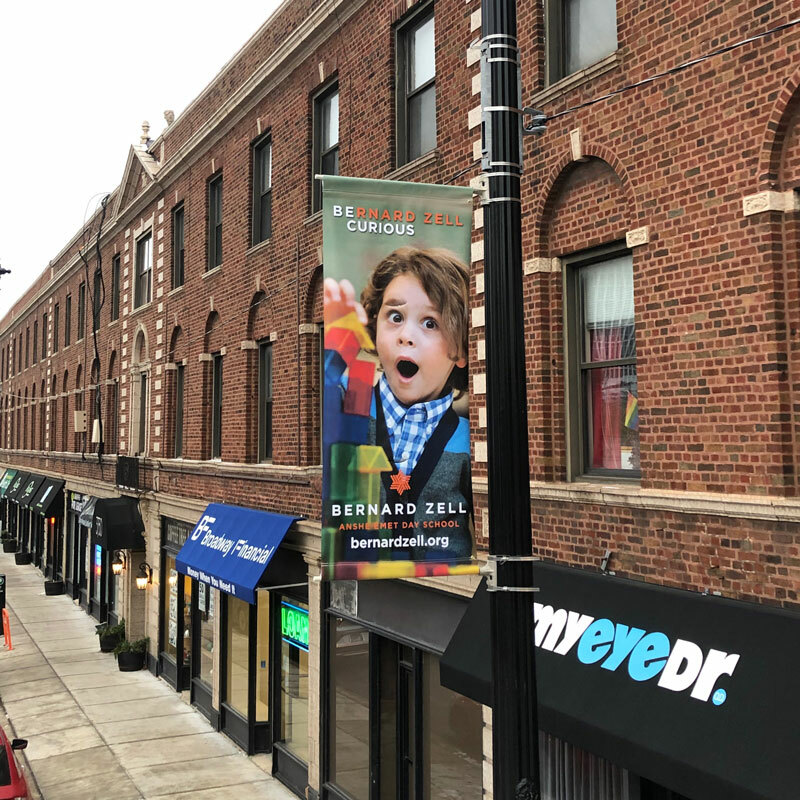 Our light pole banners having been displayed across the country for the past 45+ years and are what we built our Bannerville name on. 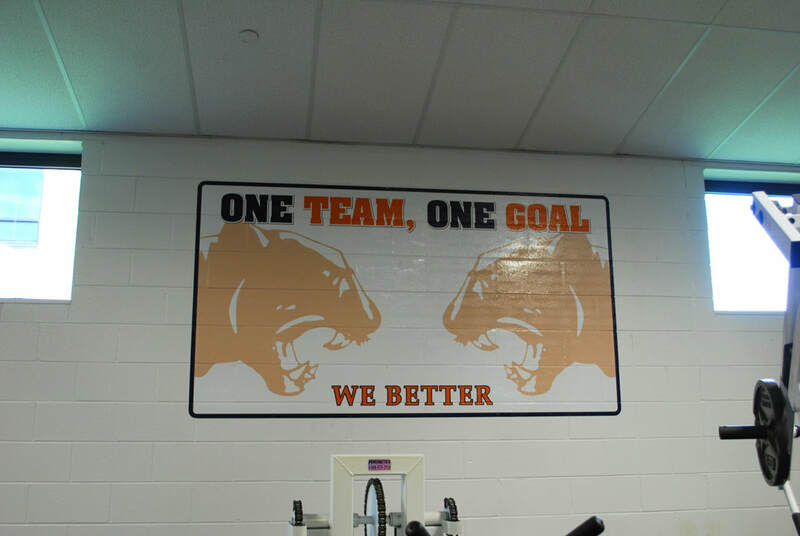 They are digitally produced using an 18 oz. 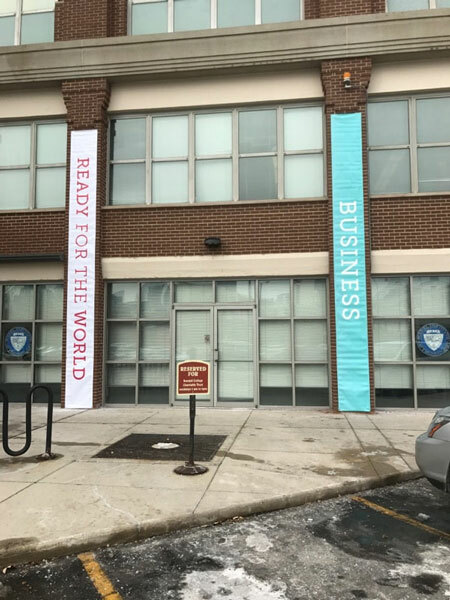 outdoor vinyl to withstand all weather conditions. 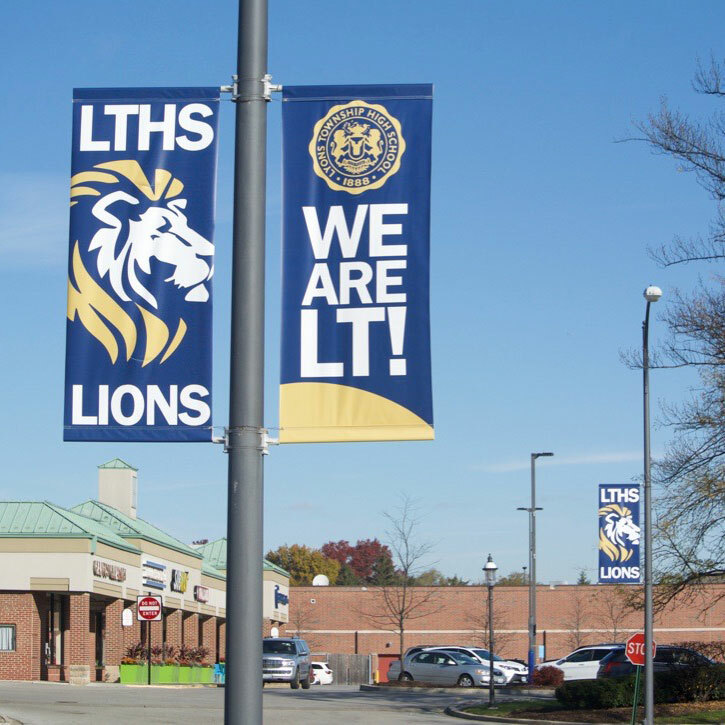 We offer both standard and custom size banners for any size light pole. 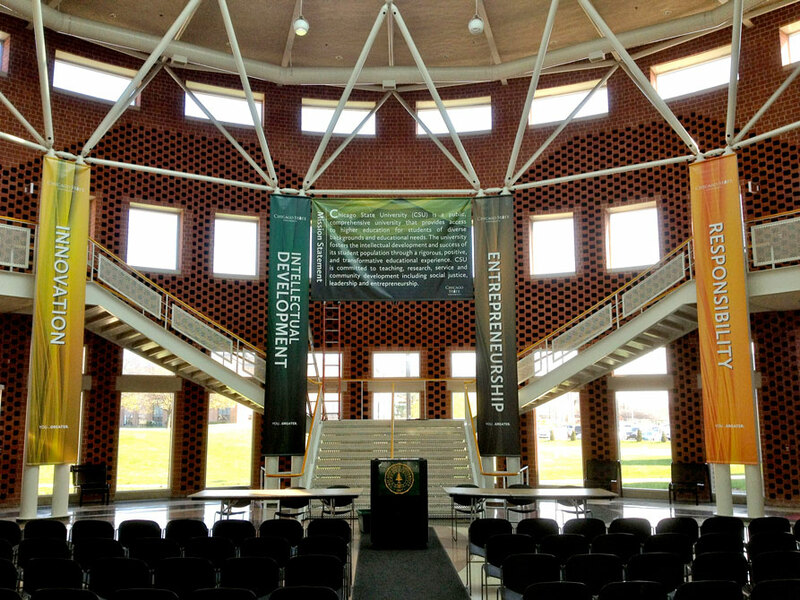 Both single banner displays or double banner displays are available. 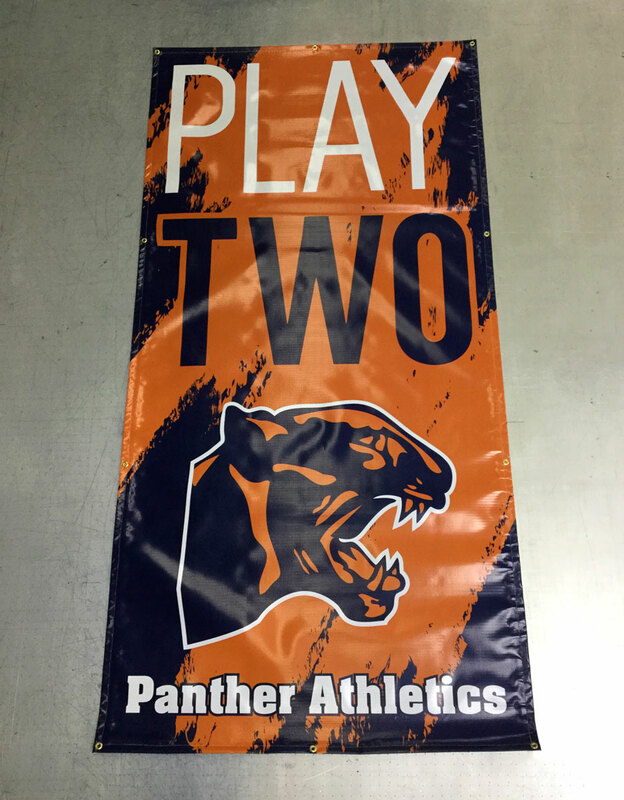 We manufacture all banner hardware in house which comes with a lifetime warranty! 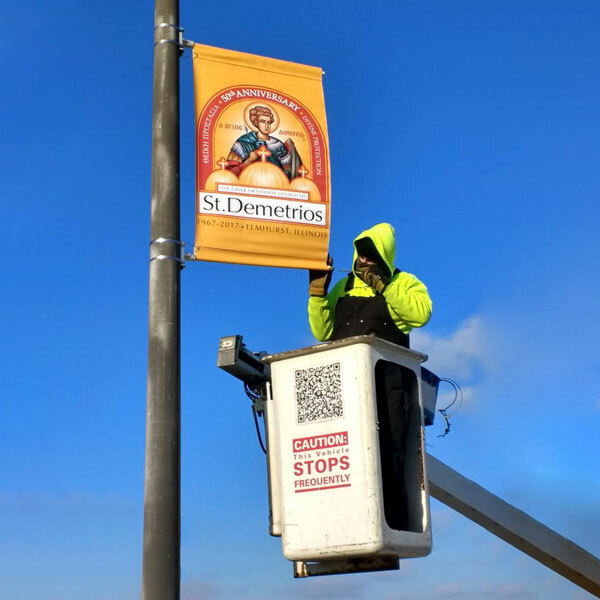 We provide banners, light pole hardware and installation. 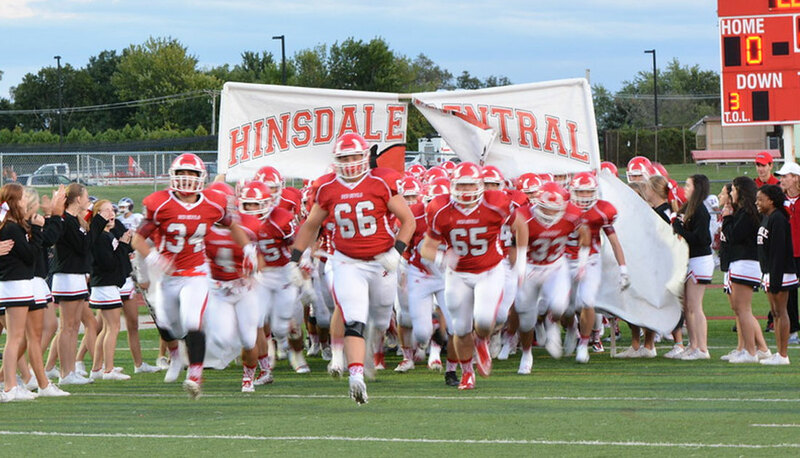 Your fans are important to your program. 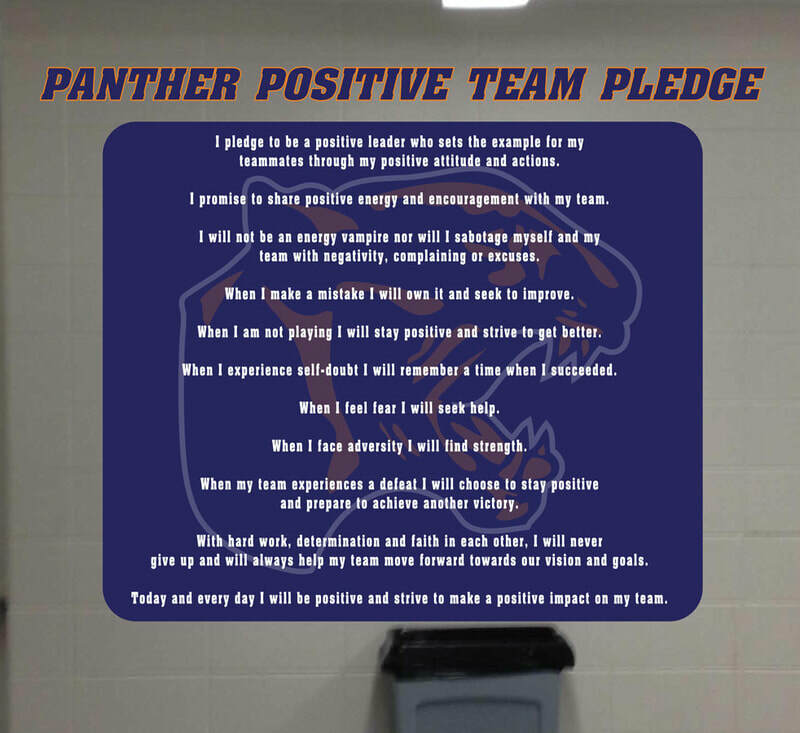 However, you need an environment that is safe and positive for your athletes, coaches, fans and officials. 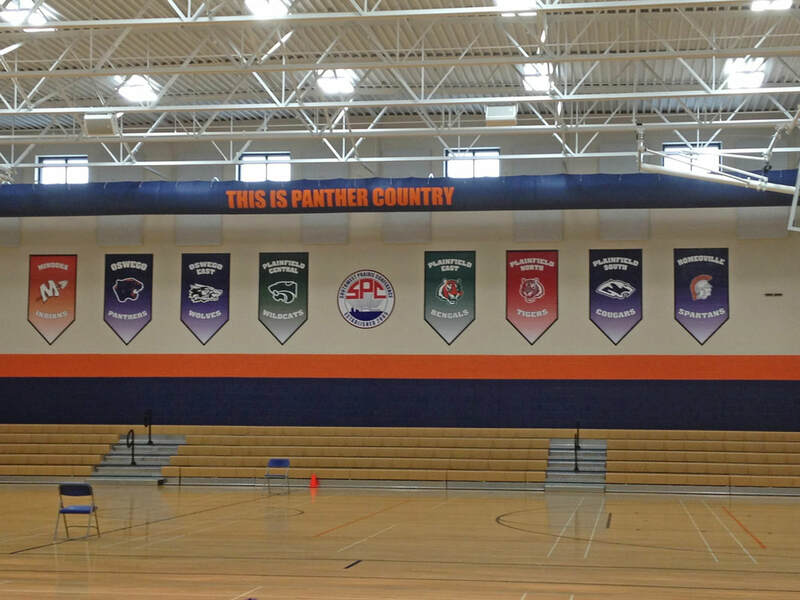 Sportsmanship Banners are the perfect way to gently remind fans, from your school and from visiting programs, to maintain a positive atmosphere at sporting events. 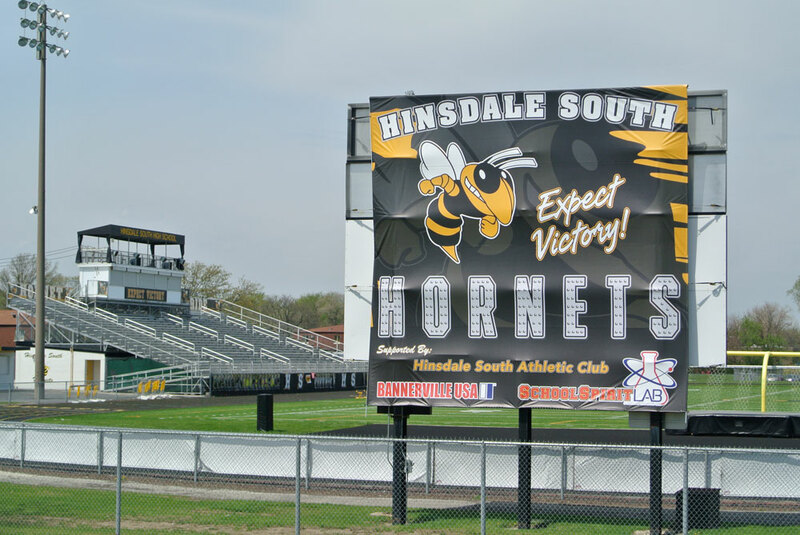 We will take your school's name and mascot and create a sportsmanship banner that reflects your code of behavior. 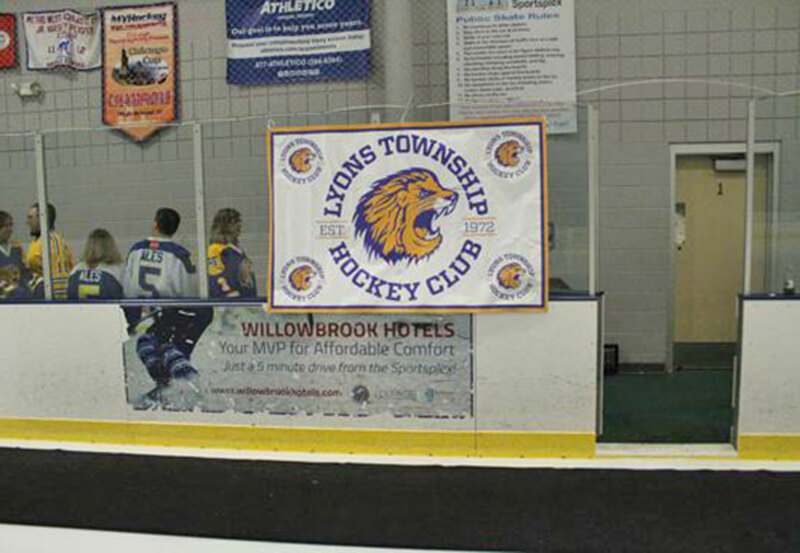 Get your team and fans fired up with a grand entrance using a breakaway banner or tunnel. 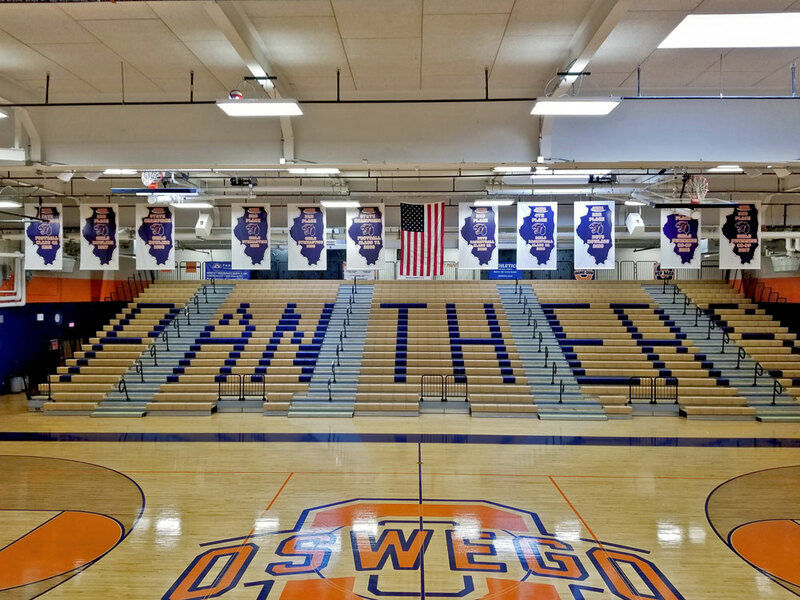 Built to last, these durable run through banners are designed to create a great start to your matchup or pep rally. 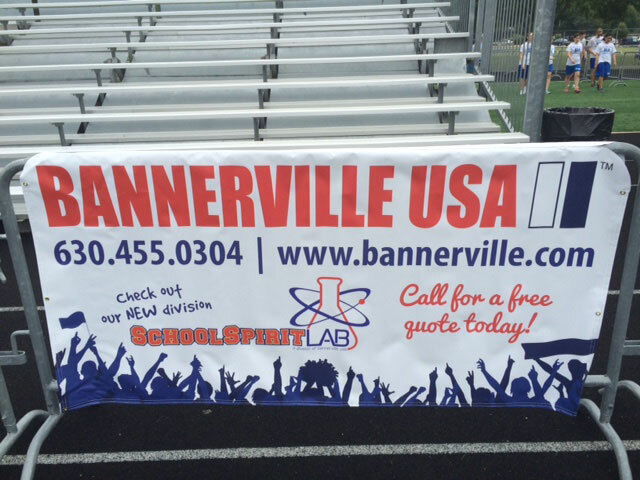 Sponsor banners give local businesses a great advertising opportunity, while allowing you to generate income for your school or team. Our sponsor banners come in custom sizes to allow perfect sizing for any display areas. 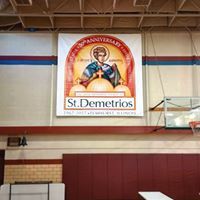 When your next event rolls around, let us produce a high-quality, customized banner for your event! 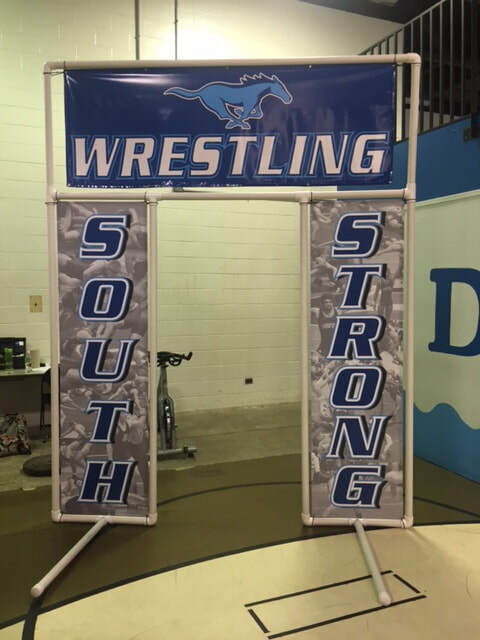 Our heavy duty banners can be used both indoors or outdoors for your event. 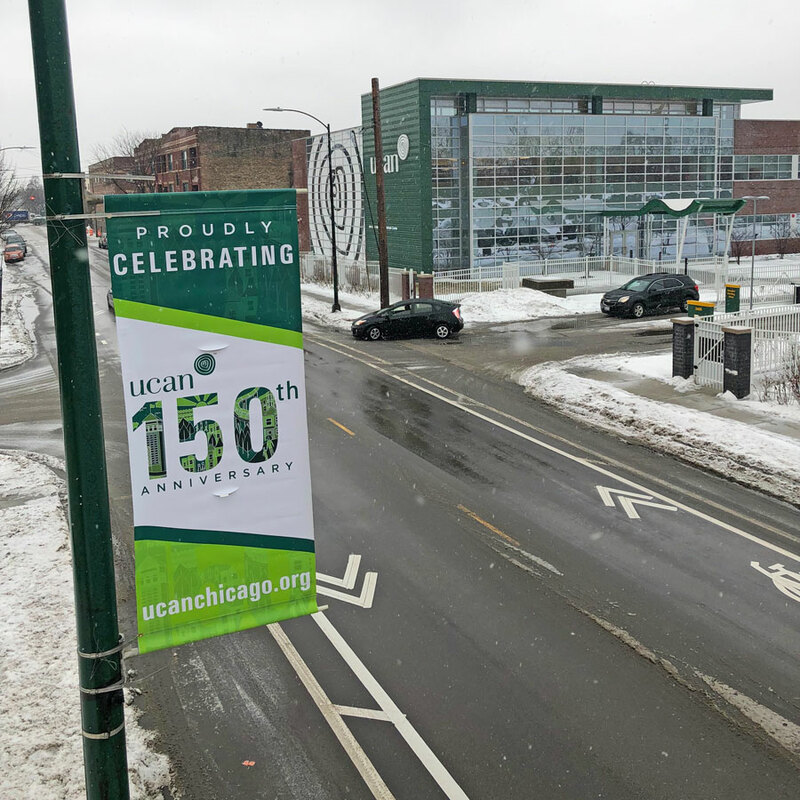 Barricade banner displays not only cover up those ugly barricades, but also help direct pedestrians or auto traffic. 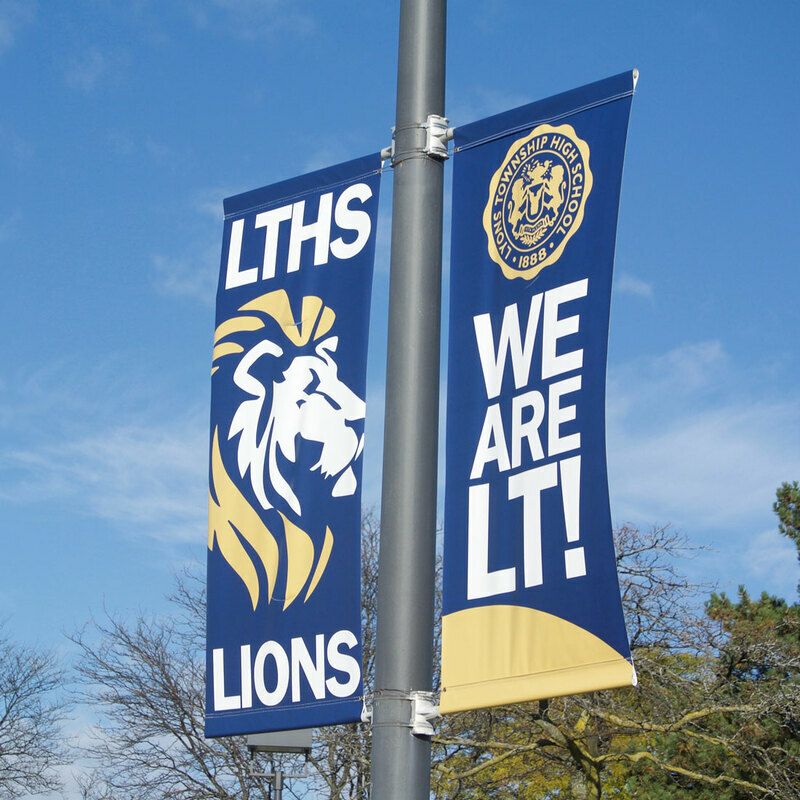 Our barricade banners offer another area for school branding or local business advertising. 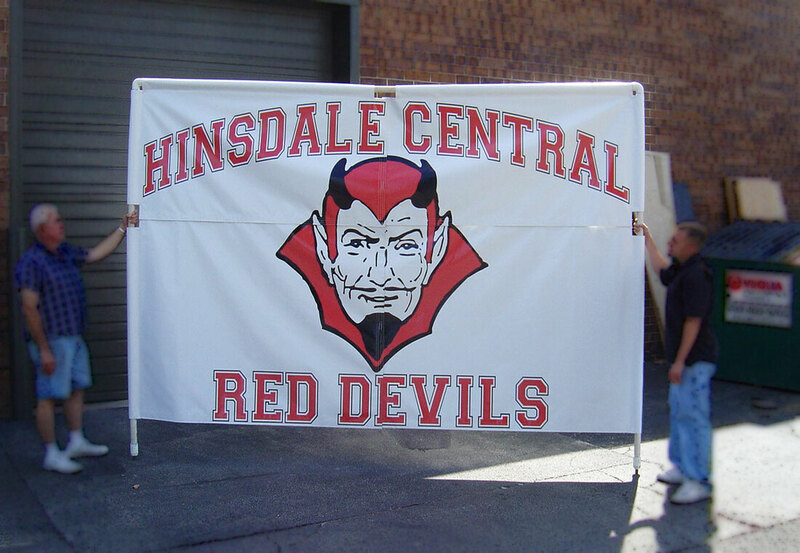 These banners can be custom designed to fit any size barricade or fence structure. 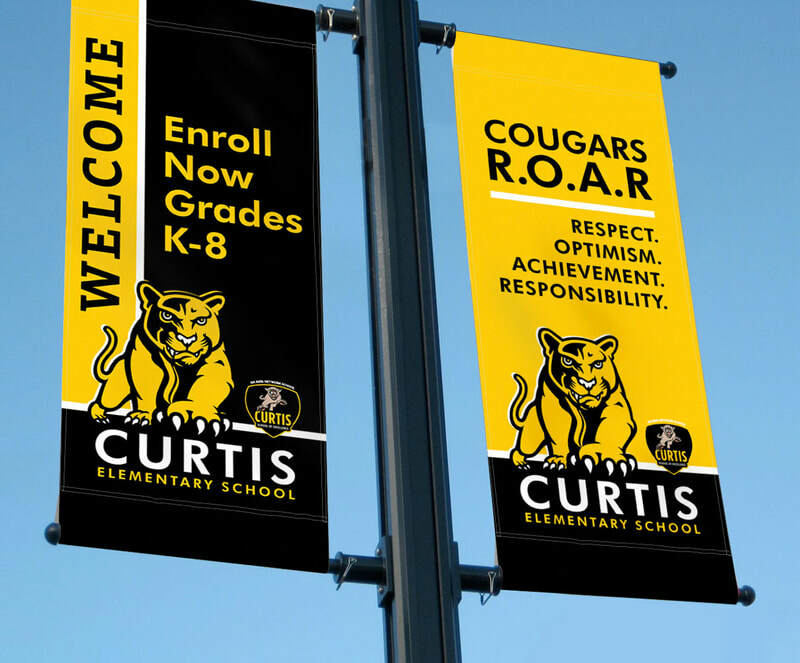 Our barricade banners are manufactured using outdoor vinyl or mesh materials. 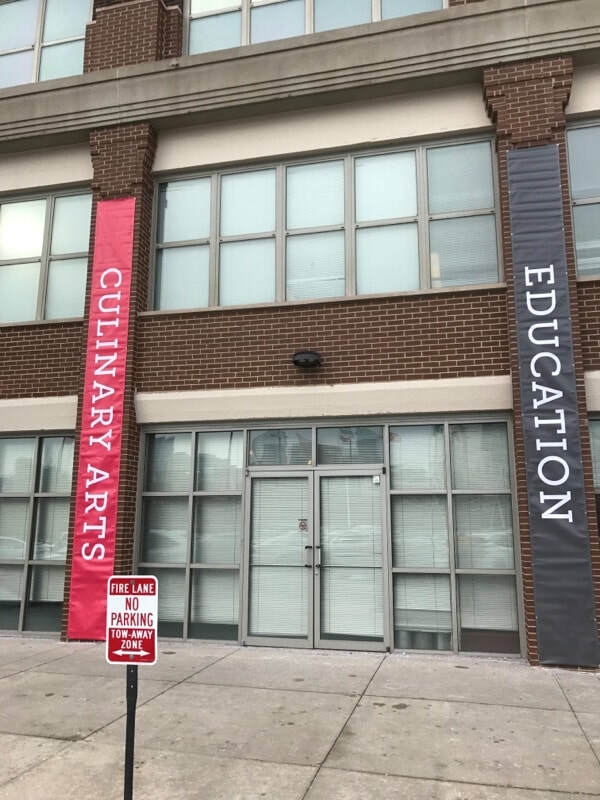 Produced on an 18oz vinyl, our exterior banners can be used on fences, buildings, walls, in-ground stakes or just about an other outdoor application imaginable. 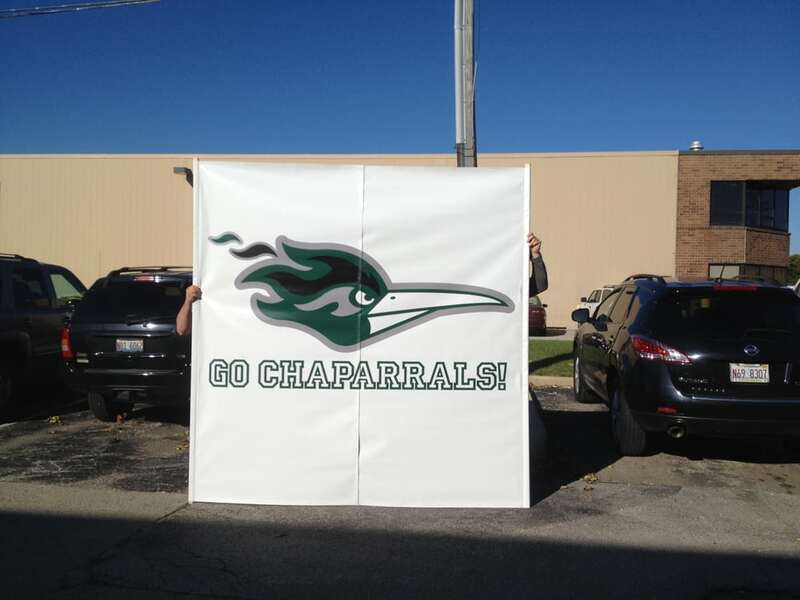 We offer a 13oz vinyl which is economical, yet offers you a great print surface on one or two sides. 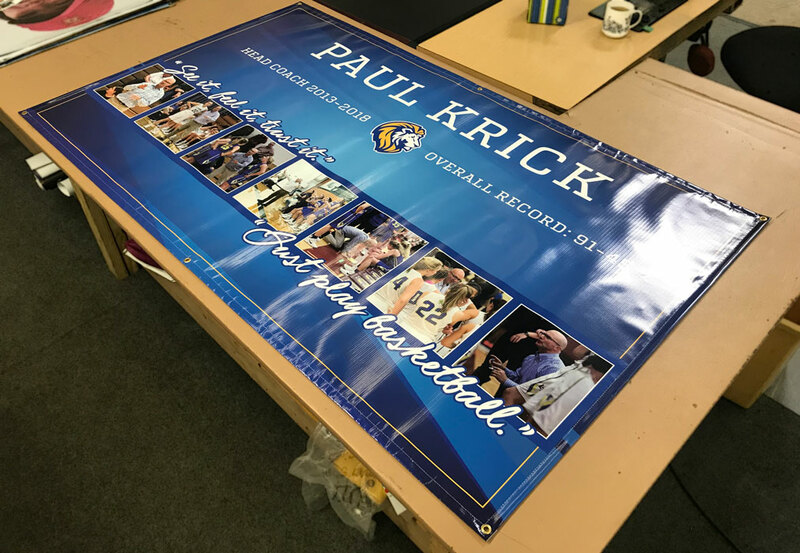 For those applications where a more formal effect is needed, we can print single sided on a curl free vinyl.